Open the My EQ > Add-on Libraries folder via File Explorer (Windows) or Finder (Mac). 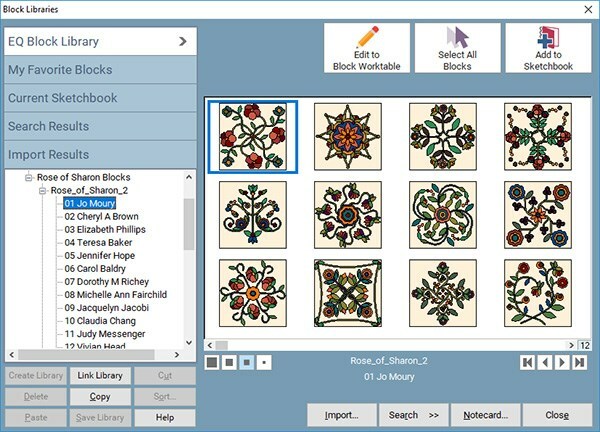 Create a new folder inside Add-on Libraries and name it Rose of Sharon Blocks. The .BLK files will not open outside EQ. You must save them in your My EQ > Add-on Libraries folder for them to work with EQ7 or EQ8 software. Download the .BLK files. The files will download to your Downloads folder. Use File Explorer (Windows) of Finder (Mac) to navigate to your Downloads folder. Select both of the Rose of Sharon (.BLK) files. Press CTRL+C on Windows or Command+C on Mac to copy the files. 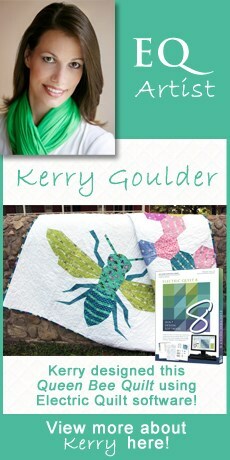 Navigate to My EQ > Add-on Libraries > Rose of Sharon Blocks. Scroll down in the list to see the Rose of Sharon Blocks. If you are using EQ7, you must link the library. Click the Link Library button in the Block Library, then follow these quick steps to manually link the library.